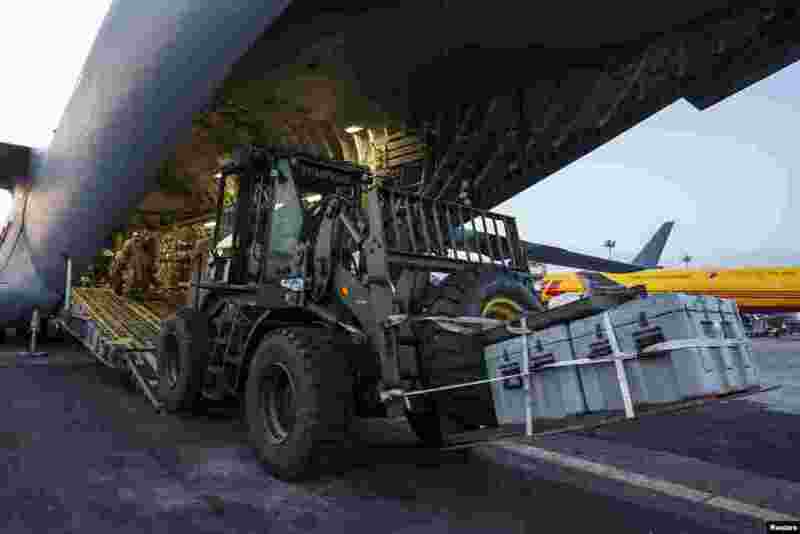 U.S. military aircraft, including four tilt-rotor Ospreys, heavy equipment and air traffic controllers arrived in Nepal Sunday, hoping to give relief operations a much-needed shot in the arm. 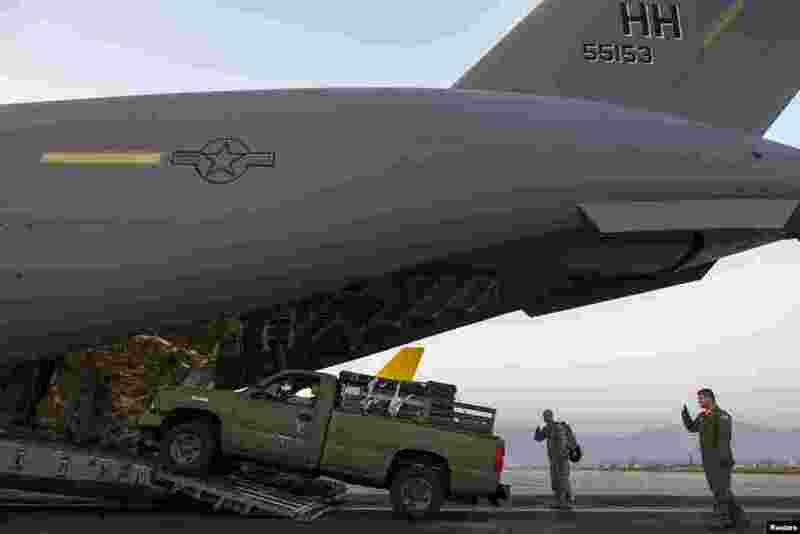 2 A vehicle is unloaded from a U.S. Air Force C-17A Globemaster III aircraft after it landed at Tribhuvan International in Kathmandu, May 5, 2015. 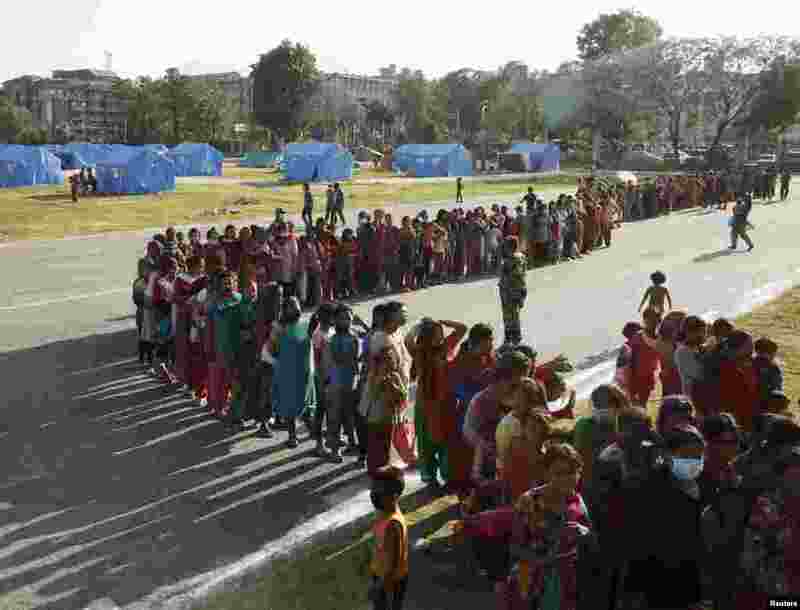 3 Women queue for food supplies at a camp for displaced earthquake victims in Kathmandu, May 5, 2015. 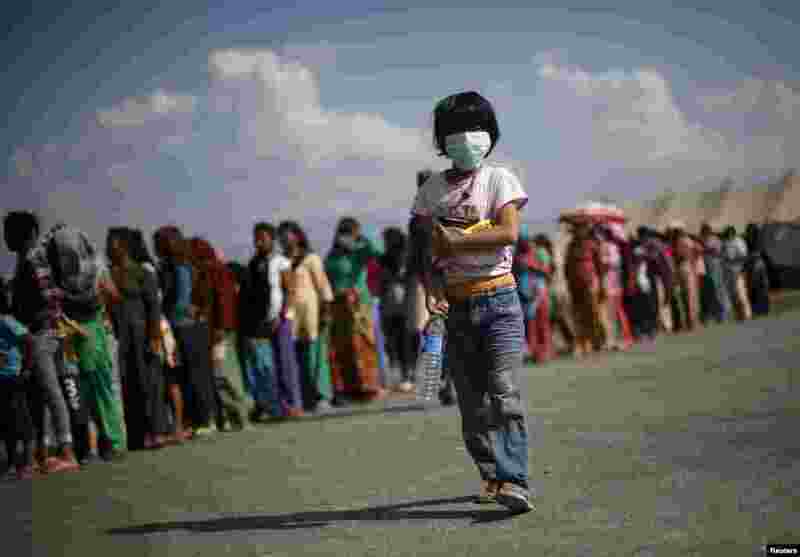 4 A displaced earthquake victim carries food and water after collecting them from a distribution center at an open ground, in Kathmandu, Nepal, May 4, 2015.